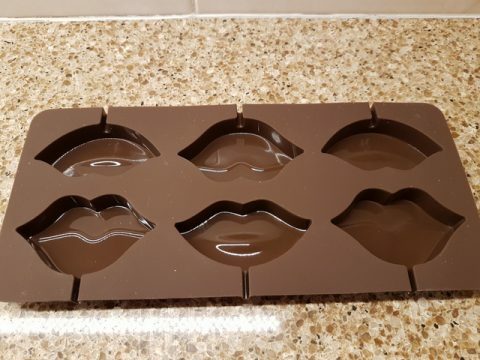 A flexible silicone mould that produces luscious lips. 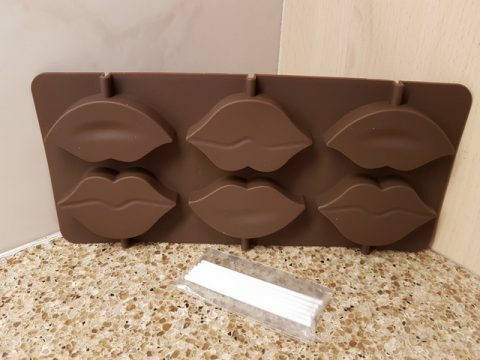 This is another of Kitchen Craft’s Sweetly Does It Silicone Mould range and is their Lip design. The mould comes in a see through box and includes six plastic lollipop sticks which measure 3mm x 7.4cm. The lip mould is approx 23.8cm in length by 11cm wide. The moulds are fridge, freezer and dishwasher safe and can endure heat up to 220°C/428F. The Lip sizes are as follows: (These are measured on how lips appear on you face). Larger Lips measure 6.8cm wide by 4cm from the top of the lip to the bottom. 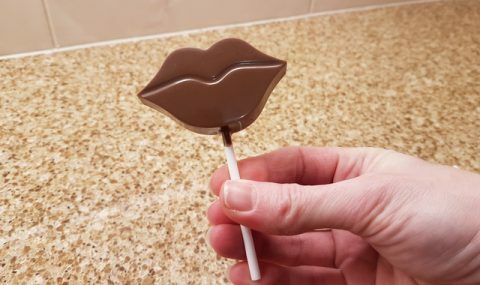 Thinner Lips are 6.8cm at their widest point and are 3cm from the top of the lip to the bottom of the lip as they are slightly slimmer. The thickness of both sets of lips is approx 1.2cm. 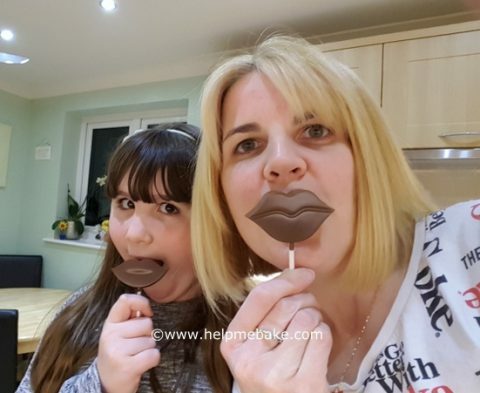 The larger lips have a lip line across the middle whilst the thinner lips have a slight indent to make the smile. 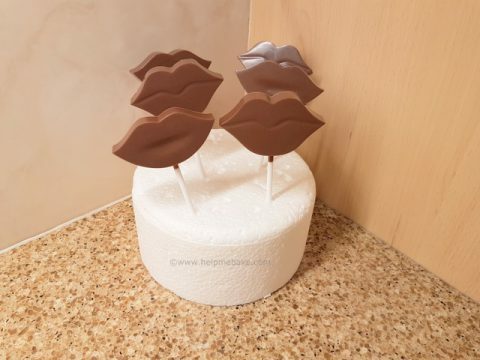 Once set the Lip lollipops peel easily out of the moulds and produce lovely luscious chocolate lips. 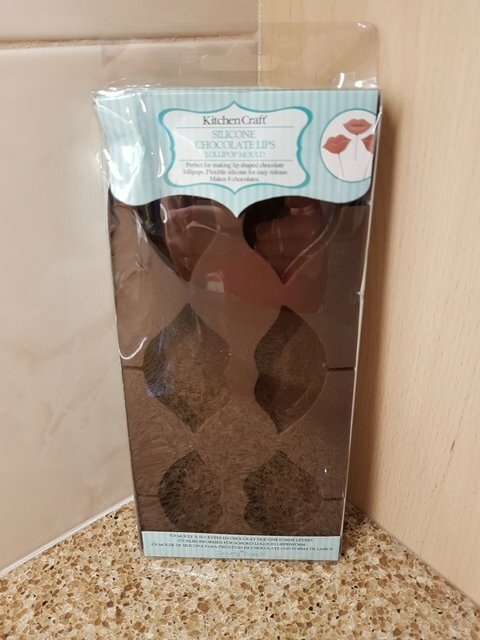 They could also be used as fun favours at a wedding! PrevPrevHow to make egg whites foam.